Just watched part one of Blood and Thunder, an excellent new doco on the Albert music company and its place in Australian rock history. Fast paced and carefully researched, it told a story well known to music fans but worth hearing again. How the Young family of Glasgow took the ten pound assisted passage to a new life in Australia in 1963 and found identity and direction making music. George started the ball rolling, writing songs with a cheeky Aussie singer named Stevie Wright and then with young Dutchman Johannes Hendrikus Jacob van den Berg. Anglicising his name to Harry Vanda was only the first of many clever things Johannes did. The Easybeats was another. Ted Albert, young scion of a music publishing house, was keen to develop the company through pop music and after hitting with Billy Thorpe & The Aztecs he saw in The Easybeats the perfect progression. He was right. The Easybeats’ string of 60s singles comprises some of the most energetic and vibrant pop songs of the period. Of course you know ‘Friday on my mind’, but there is more. ‘She’s so fine’, ‘Sorry’ and my personal favourite ‘I’ll make you happy’ [link] still sound absolutely terrific. Much more. There’s the wonderfully apposite ‘The music goes round my head’, a couple of late-on-the-scene but still wildly enjoyable slices of psychedelia in ‘Peculiar hole in the sky’ and ‘The last day of May’ and of course the raunch of Saturday night belter ‘Good times’. 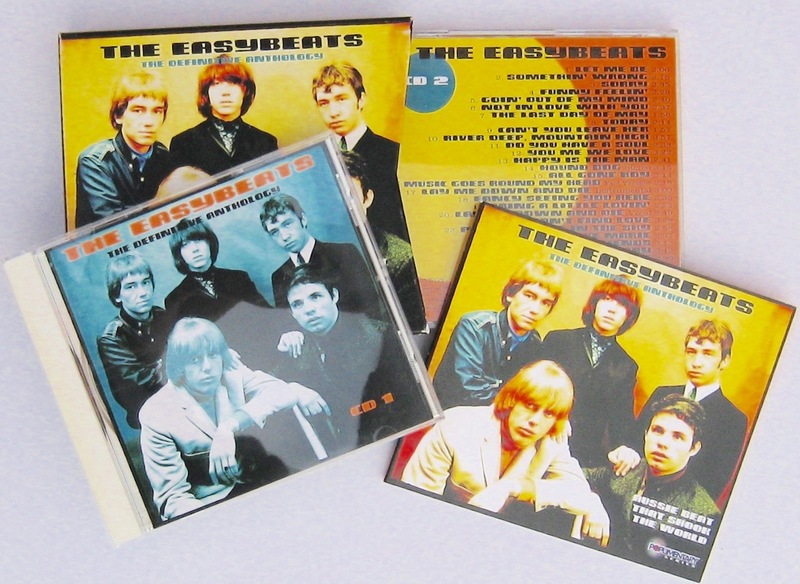 In sum, an Easybeats compilation should be a part of any self-respecting record collection. After The Easybeats lost their way and disbanded, George Young and Harry Vanda returned to London where they wrote songs, learned the craft of production, and stayed in touch with family back home in Sydney – especially younger brothers Malcolm and Angus, both of whom were already wedded to electric guitars and dreaming of rocking it large. When Angus was a teenager, he recalls meeting Ted Albert who encouraged him to ‘make contact’ if he wanted to do something with music. Malcolm later did session work in the Albert Productions studio where George and Harry were now ensconced as producers and song writers, achieving a handful of hits in the early 70s. 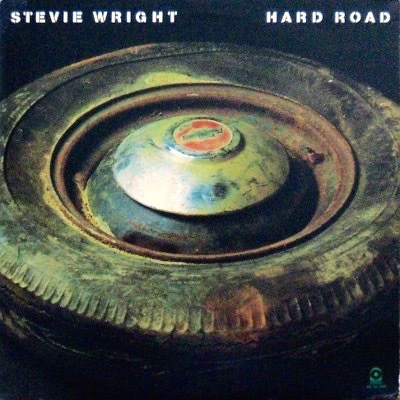 Stevie Wright, meanwhile, was struggling with life after The Easybeats. Robbed of focus, lost and unhappy, his talent was in danger of collapsing into the abyss. Vanda and Young lined him up with some crack local musicians including younger Young brother Malcolm, wrote a few songs well suited to the voice they had shared the stage with so many times, and produced an album. Not only had they continued to develop their songwriting skills through hard work and application, but Vanda and Young had also learned a bushel of hard lessons about the music industry and what it takes to ‘make it’. They wanted to put this into practice with their former bandmate. 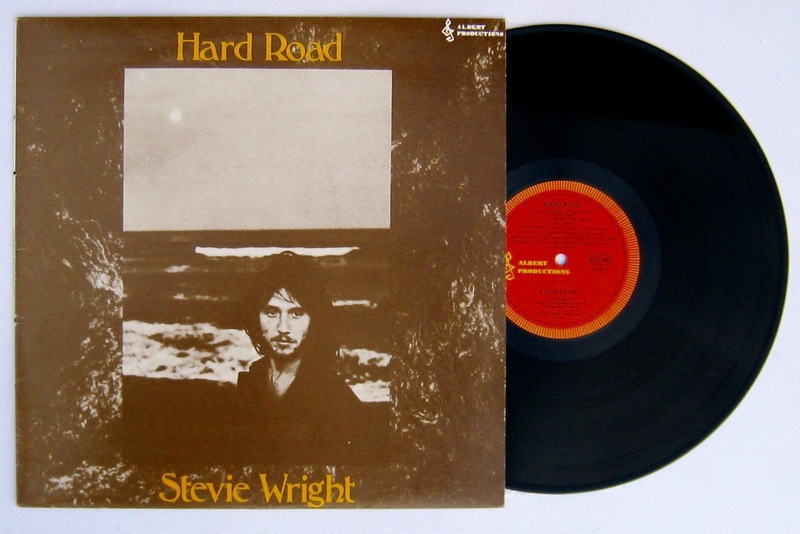 In an unprecedented move, the first single from Stevie Wright’s 1974 album Hard Road was the eleven+ minute three-part song-suite, ‘Evie’. No-one seriously expected radio to pick it up; it was longer than anything else ever offered to commercial radio, beating both ‘MacArthur Park’ and ‘Hey Jude’ by some four minutes. And it wasn’t even one song, it was three; ‘Evie (part one)’ on the A-side and ‘Evie (parts two and three) on the B-side. But radio stations loved it, and so did the punters, propelling this pop-rock operetta to #1 all ‘round the wide brown land. Even today, anyone from the era (including your correspondent) can sing along with the entire opus. All you really need to know about lurve, really. What you also really need to know is that Malcolm Young plays the guitar solo in Part 1, while Harry Vanda contributes the solo in Part 3. In addition to ‘Evie’, Vanda and Young wrote the excellent title track ‘Hard Road’ plus ‘Didn’t I take you higher’, a soul workout with a strong vocal undercut by an extended middle section of percussive tedium. Stevie himself contributed the other six songs, all competent without being startling. ‘I got you good’ showcases the more soulful sound of Wright’s voice, as does the Curtis Mayfield cousin ‘Movin’ on up’. Final song ‘Commando Line’ is a straight ahead rocker with in-yer-face energy. The album reached #2 in Australia and there were great hopes for it having success overseas. Indeed, it was released with alternate covers in various territories. 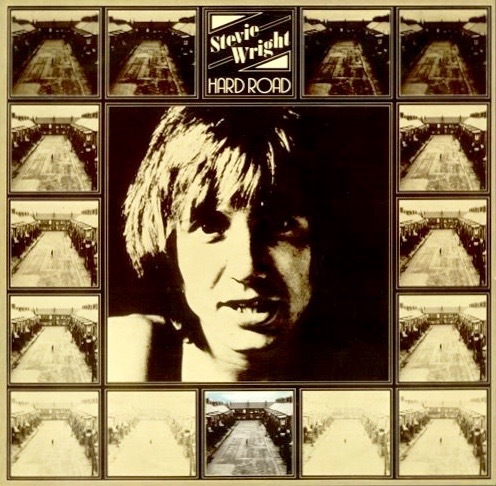 But Stevie Wright, despite being a scintillating front-man and terrific vocalist, continued to struggle with what are euphemistically called ‘inner demons’. Even his manager, with considerable sorrow, chucked in the towel. The attention of both Alberts and Vanda & Young moved elsewhere. And where was this elsewhere? Bet you can guess. For a while they’d been monitoring the band formed in 1973 by Malcolm and Angus Young. This blues-based rock outfit had released a single, but had struggled to find the voice they needed. By Spring 1974, as ‘Evie’ lingered in the Top 40 Charts, the Young band recruited one Ronald Belford ‘Bon’ Scott, another cheeky larrikin who had already racked up many road and stage hours with the Valentines and Fraternity. It would be a cliché to say that the rest was history, but it was. Or will be when I tune in for the conclusion of Blood and Thunder next week. Really interesting, as an AC/DC completist I have explored some of this stuff before, but only sketchily. Friday On My Mind is, in my humble opinion, one of the very best songs ever to have emerged from your fine homeland. Homeland shmomeland. It’s one of the 60s finest moments period. Well, I don’t like it anymore now. Good. And I’ll trash my hit 60s Welsh singles too. Nah Nah. Bruce, you can’t be serious about destroying your all Tom Jones 45s!!! Of course you’re right BB. Thank goodness for the voice of sanity to cool my intemperate hot-headedness. The Easybeats were indeed a very good band, IMO. A friend was in the fan club and her Mum hosted a do for the club members to meet the boys at their house. There was no security and no trouble. Thanks DD. And what a great story! I don’t know any of this stuff, so I’ll need to change that quick smart (especially if I’m wanting to have a respectable record collection!). I suppose I should emphasise that my starting place is the opinion that a decent grounding in 60s pop is the essential bedrock for understanding and appreciating rock music in all its diversity. If that premise is accepted, then it follows, as night follows day, that The Easybeats deserve a place (alongside The Pretty Things, for example).